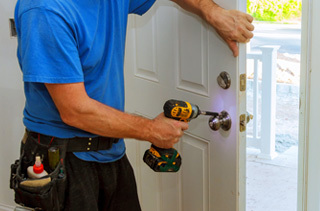 Whether you need to fix a broken door lock or need an air leak sealed, we have the repair services for you. Over the years, doors get a lot of wear and tear. From the constant opening and closing to being exposed to the outdoors, it’s no secret that you eventually may need a repair or two. Luckily, Town & Country Door, LLC, offers a variety of entry door repair services. A professional door repair can not only help with the appearance of your door but the function as well. For example, doors that aren’t sealed properly can cause a rise in a homeowner’s utility bills; our team can fix that seal to help save you money in the long haul. Whether you want fiberglass or wooden doors or you want decorative glass on your door- we can help. With a variety of designs, sizes, and obscurity, we have the perfect entry door for your style and your home. 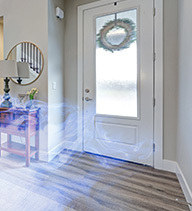 If you’ve noticed cooler air coming from under or around your door-it’s time to replace it. As doors age, the seals can begin to weaken and not be as effective at keeping the cold air out. When the seals weaken, they will start to shrink and crack causing that drafty feeling. This problem can also create a rise in your energy bills, so it’s crucial to get it replaced as soon as you can. 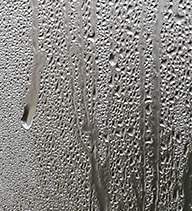 With older doors, over time condensation can begin to form between the panes of glass in your door. 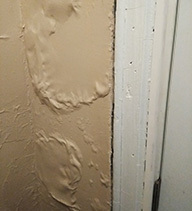 This can begin to cause issues, especially if you have a wooden door because mold and mildew can start to form. Be sure to get your door replaced soon as the last thing any homeowner wants is mold remediation. Over a lifetime, doors can take a beating from the constant traffic of opening and closing them. Visible damage such as cracks not only give insects a chance to enter your home but shows that that door is structurally weak. A wooden door can have stress fractures in the grains of the woods which exposes the inside of your home to the outside. A weak, cracked door can be a safety concern and will need replacing. If you aren’t happy with the way your door looks, or it’s visibly damaged and causing issues, give the team at Town & Country Door, LLC, a call today.